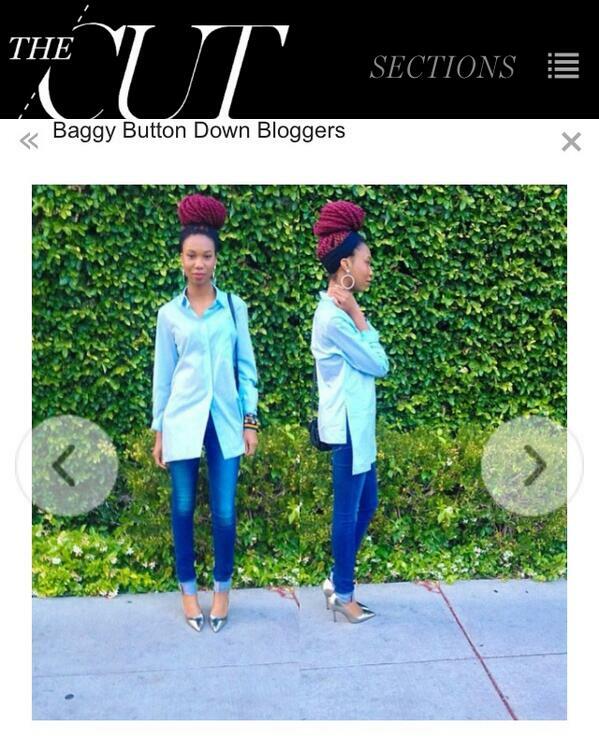 I just found out from my sister that I was featured in the cut last week, whoa! For those who may not be familiar with The Cut, it is New York Magazine’s blog, that gives you the scoop on trends, relationships, and all the possible things that women can’t get enough of reading, and that is why I was excited to be in their list of best style bloggers in baggy button downs. Click here for the slideshow. MAISON MARTIN MARGIELA button front, FRAME DENIM forever Karlie (in black), BOUTIQUE 9 Orra pumps, FOREVER 21 hoops.